Santa Margarita Toyota offers a wide range of services for wheels and tires near Ladera Ranch, CA including new tires, tire repair, wheel alignment, balancing and tire rotation. If you need tires, we can get you back on the road quickly. Our tire store carries the most popular brands of tires close to Ladera Ranch. Expert technicians make sure that your new tires are the perfect match to your vehicle and driving needs. Whether you have a car, truck or SUV, we have your tires near Ladera Ranch, CA. 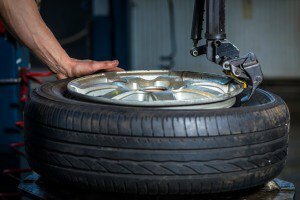 Worn tires can cause a number of problems and be a potential safety hazard, so it is important to have your tires inspected often and replaced if needed. When tires are worn out, they are more likely to puncture, hydroplane, leak air and blow out due to heat build-up. Schedule an appointment, and ask about current special offers on tires near Ladera Ranch, CA.